Squamish Rock Guides offers climbing courses, guiding and private instruction on the West Coast of British Columbia, Canada. The Vancouver to Whistler corridor has an amazing abundance of granite rock, in addition to the Squamish Chief Mountain, on which to learn to climb from our ACMG certified guides. SRG has been the industry leader since 1991 and is proud to offer the absolute best guides for your rock climbing goals! 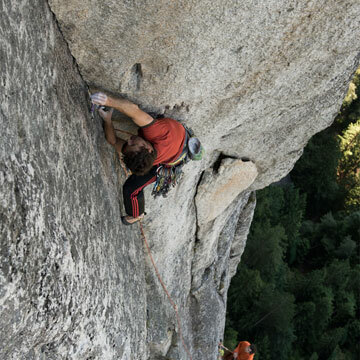 If you’re ready to do some rock climbing in Squamish, we are the specialists.